Wayne specializes in financial crime and compliance. He also has extensive experience in public / private international law cases involving cross – border litigation in both civil and criminal context. 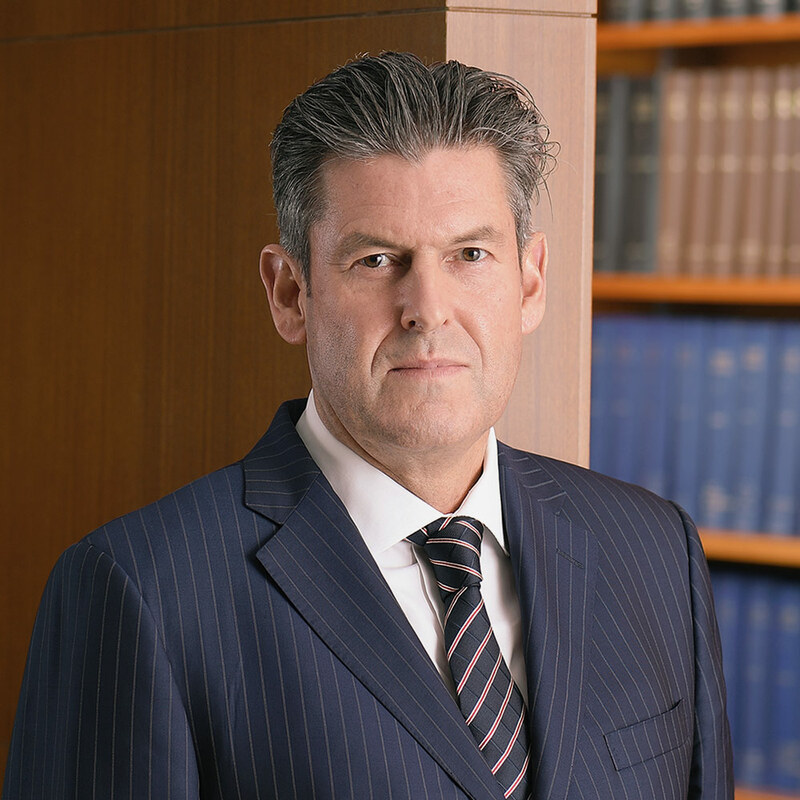 Wayne began his legal career as a commercial litigator in private practice and then became a prosecutor with the Serious Fraud Office in New Zealand before joining the Attorney General’s Chambers in Hong Kong in 1992. Initially a prosecutor in the Commercial Crime Unit of Prosecutions Division advising and prosecuting ICAC cases, Wayne transferred to the International Law Division in 1998 where he became Deputy Law Officer handling all cases of international cooperation with foreign governments in criminal and some civil matters. He left government service in 2018 to commence practice at the Bar. During his time in the Department of Justice, Wayne led negotiations for bilateral Agreements and advised on implementation of international penal conventions such as the Convention against Transnational Organized Crime, the Convention against Corruption and the Convention for the Suppression of the Financing of Terrorism. Wayne also advised on the implementation of anti – money laundering and counter – terrorist financing standards under the Organized and Serious Crimes Ordinance, the United Nations (Anti – Terrorism Measures) Ordinance and the Anti – Money Laundering and Counter – Terrorist Financing Ordinance. Wayne was a member of the Hong Kong, China delegation of the Financial Action Task Force (FATF) in Paris for 18 years and from 2010 – 2012 he co – chaired a FATF Working Group which revised the current FATF Recommendations. Wayne continues to advise Government and private sector on anti – money laundering and counter – terrorist financing standards. He is the author of the authoritative legal text “Cross-Border Crime in Hong Kong”, Lexis Nexis 2018 which includes coverage of the offence of money laundering; procedures for surrender of fugitive offenders (extradition), mutual legal assistance, transfer of sentenced persons; and the implementation of United Nations sanctions against financing of terrorism and proliferation of weapons of mass destruction. Wayne accepts instructions in both criminal and civil cases, including trial work and asset recovery proceedings. Wayne holds degrees from New Zealand Universities and spent periods studying in the United States and the Soviet Union. From 1981 to 1984, he served as an Inspector in the Royal Hong Kong Police Force.